“Motor Marc’s” second painting for the HSR 10th Anniversary. Good times and adventures charted out on a map will lead you to many pirate tales and gold. 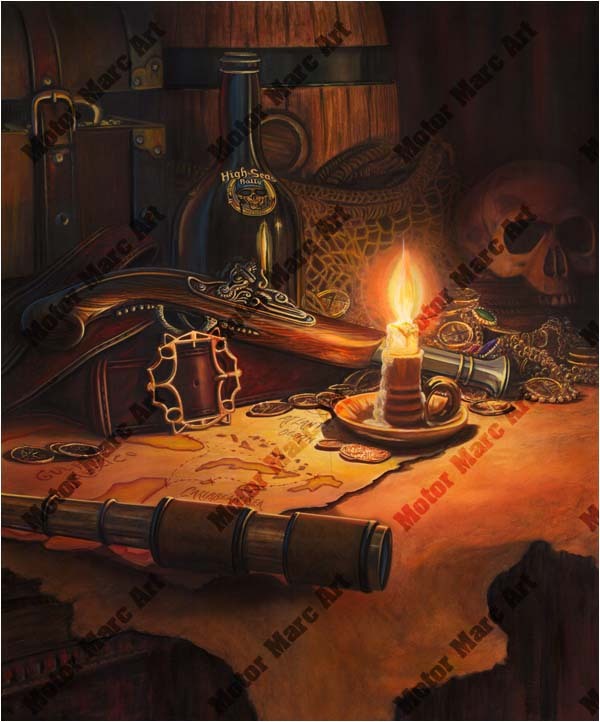 A glowing candle in this setting may help you find and own this treasure.